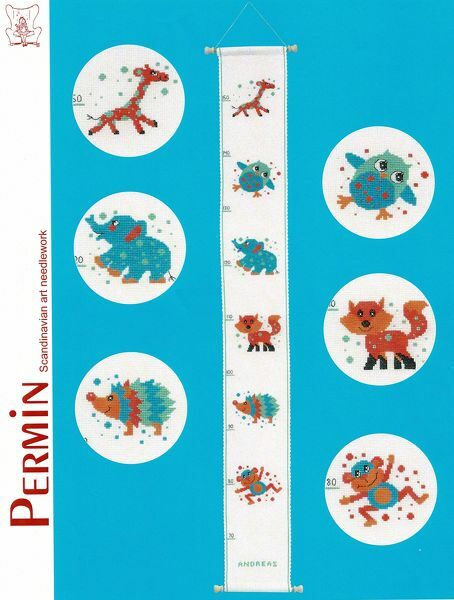 Cute cartoon animals - giraffe, owl, elephant, fox, hedgehog and monkey in this personalised height chart. The kit contains a large scale black and white chart printed 10 stitches to one inch on four A3 sheets, one with key and letter set. The pattern is worked in whole cross stitch and backstitch using six shades of stranded cottons over 70 by 590 stitches with large areas unstitched. Please note: We are currently closed for business and so we are not accepting orders at the moment. We will re-open on Tuesday 23rd April 2019.